A Little Google Adwords Secret To Double, Even Triple Your Lead Generation Conversion. ﻿A Little Google Adwords Secret To Double, Even Triple Your Lead Generation Conversion. If you’ve been advertising your business opportunity or product online for any length of time you probably already already know that Google Adwords can be a great way to bring traffic to your lead generation campaign. 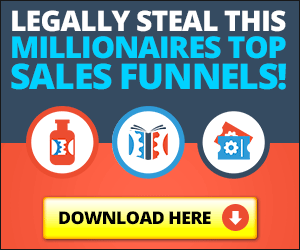 Actually getting that traffic to convert into real-time hot leads for your opportunity or product is the hard part. This frustrates many Adwords advertisers to the point where they have to drop the campaign entirely because it simply wasn’t profitable… or was it because they were going about it the wrong way? Don’t let this happen to you! One of the main reasons for Adwords failure in a lead generation campaign is total lack of keyword organization and proper targeting of the landing pages. That’s right… I said PAGES. So you’ve got several different keywords and phrases, one Google ad and one landing or lead capture page. It’s the sure-fire recipe to an adwords disaster. You cannot possibly write ONE ad that will effectively target ALL the available keywords you are bidding on. You need to group the keywords tighly and write your ad according to the keyword you are bidding on. If you don’t organize your campaign this way the result will be an extremely low CTR (Click Through Rate). Generating HIGH CTR is absolute necessity for a successful lead generation campaign if you want to increase your keyword positioning for LESS money. The average adwords user will never see a consistent CTR over 1 – 4% because they have poor campaign organization. You see… Once you get your keywords organized and compiled into their own individual ad groups you are now going to need several more and different landing pages. Why you ask…? It’s simple… Since we have now created new adwords ads to target our very specific keyword groups we are going to need landing pages to match them. If you can target your landing pages to the keywords that you are using in your ad campaign you will be presenting the visitor with much more relevant information. If your Google ad and landing match their keyword query exactly then your chance of conversion is going to much higher. The searcher feels you have what they are looking for. Go big or go home! If you truly want to double or triple the conversion rate of the lead generation campaign you need construct a targeted landing page for every keyword phrase or closely related terms. I mean a new header graphic mentioning the keyword, your headline mentions the keyword and your ad copy and bullet points also include that keyword. You basically have created a lead capture page all around the specific keyword you were advertising under. It’s called “Exact Matching” when you go to a search engine you aren’t looking for something “close” to what you searched for. You’re looking for EXACTLY what you searched for. Does this make any sense?